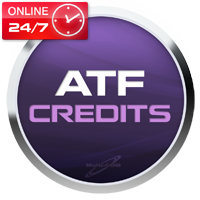 ATF credits are special logs needed in case you want to use ATF network features to utilize more repair options for ALL SL3 phones in the market. Credits allows you to make authorization of phone - once a phone is "Authorized", Super Dongle Repairs and SX-4 authorization can be performed via stand alone mode. You can also decrypt SL3 PM 120 HASHES so unlock leatest phones as N8, C7, 5230xm. 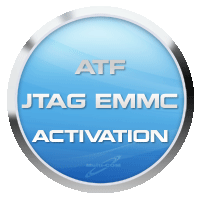 ATF JTAG EMMC activation it's cheap 1 time Activation Cost with NO additional hardware purchase needed. 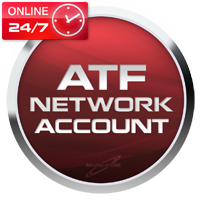 Activation for ATF allows to use JTAg Tool with super easy interface and simple and effective repair procedure. Allows to repair all Nokia WP8 Lumia phones with spped up to 480 Mbps USB via ATF Box. ATF Network Account activation it's additional activation for ATF Box that allows you to utilize more repair options for ALL SL3 phones in the market. Once a phone is "Authorized", Super Dongle Repairs and SX-4 authorization can be performed via stand alone mode. You can also decrypt SL3 PM 120 HASHES so unlock leatest phones as N8, C7, 5230xm.